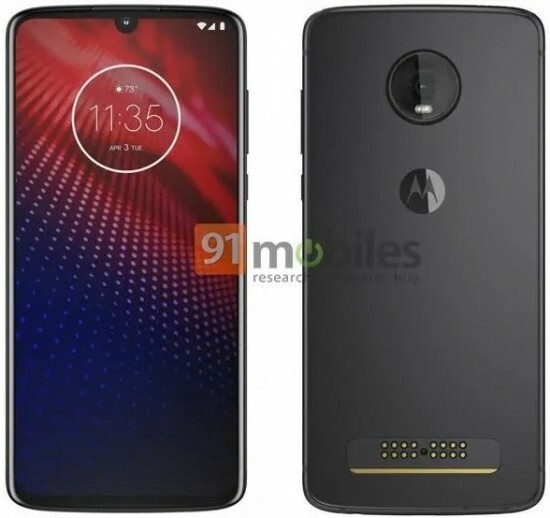 On Wednesday, we reported about some renders that were released by 91Mobiles containing the alleged Moto Z4. There are conflicting reports about whether this render represents the Moto Z4 or the Moto Z4 Play. Given the small indent on the bottom that looks like a 3.5mm headphone jack, this is more likely to be the Z4 Play. There isn�t however, a fingerprint scanner on the side, so we�re either to believe that it�s under the display or this render is a fake. It�s also rather hard to believe that Motorola is going to launch a 2019 flagship with a single camera when the Moto Z3 and Z2 both had dual-cameras. XDA-Developers did some digging when it cross-referenced some of the IMEIs that were published in the FCC filing. This returned the codename �foles� which is synonymous with the Z4 Play. 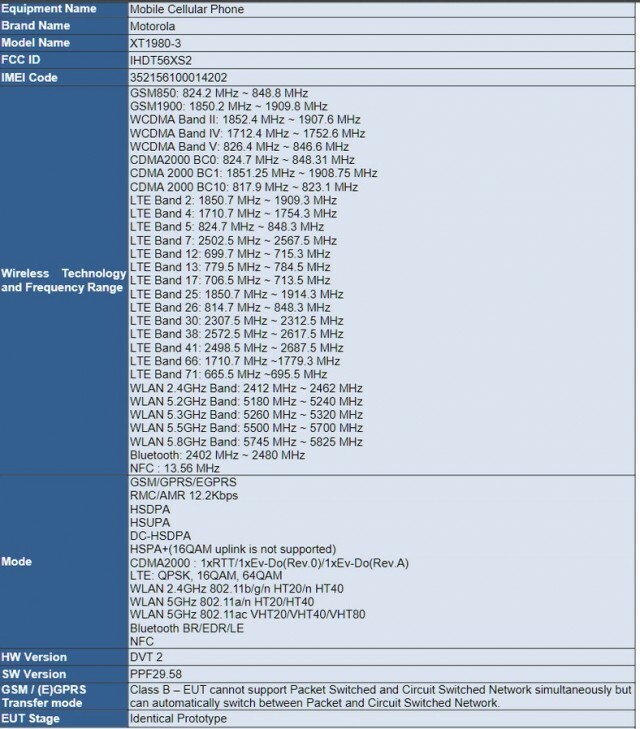 With this information, XDA was able to pinpoint several of the phone�s specs. First off, the phone is believed to run a Snapdragon 675 CPU and have either 4GB or 6GB of RAM. At the same time, there will also be either 64GB or 128GB of onboard storage. There is to be a 3,600 mAh battery integrated into the phone, this according to the FCC document. Also confirmed by the FCC doc is an 18W Turbo Charger for quick top-ups. The charger is rated for 5V @ 3A or up to 12V @ 1.5A so it should be rated for both Qualcomm Quick Charge and Power Delivery. As for the display, there aren�t much details available yet. However, XDA speculates the display could measure 6.39-inches diagonally given that the G7 Plus with its 6.2-inch display has about the same dimensions and the Z4 should have slimmer bezels. The FCC filing shows the Z4 Play to measure 157 x 75mm. It is again speculated this device will feature an in-display scanner. It is too early to tell whether Motorola will actually release two Moto Z4 devices or only keep the Z4 flagship. Lasy year's Moto Z3 felt rushed and solely for the purpose of announcing Verizon's 5G promise. Should the Moto Z4 Play arrive, it should surely support the 5G Moto Mod that Verizon will launch next month. We wonder what the future holds for Motorola this year as it prepares to launch its rumored foldable RAZR phone. Not to mention, the Z4 has some catching up to do since the Z3 launched with a lower-resolution screen and a 2017 CPU.